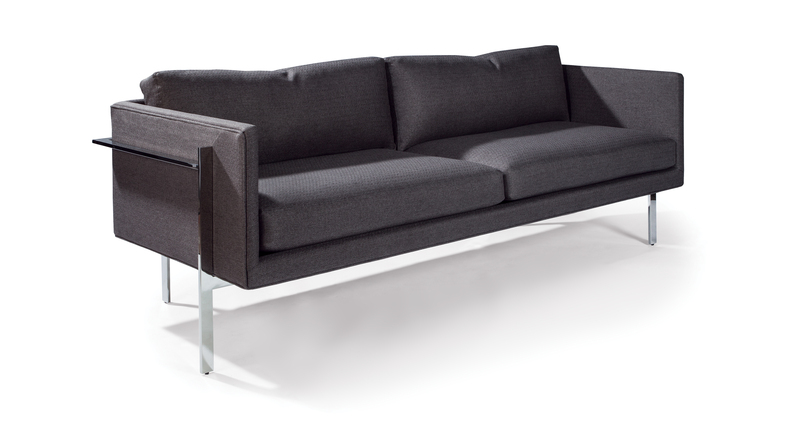 Designed by Milo Baughman in 1968, the Drop In sofa is a timeless, classic modern sofa. With striking good looks from every angle, our Drop In sofa features an architectural metal frame available in polished stainless steel or brushed bronze. Companion lounge chairs are available as well as modular seating. Select one of our many fabrics or leathers or provide COM. 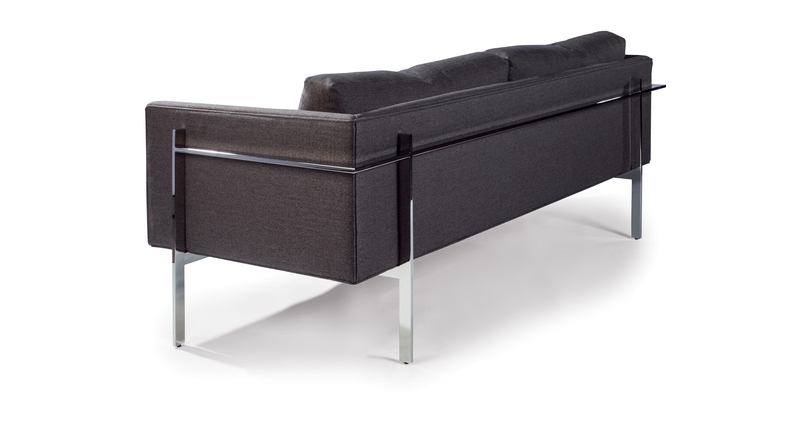 The Drop In sofa is also available with a brushed bronze frame as No. 1314-313-B. Height to top of back cushion is 33 inches. Base and legs polished stainless steel.